Now we have a Neighbourhood Plan, 25% of funds raised from the Community Infrastructure Levy comes direct to the community to spend – hooray! Unfortunately – and perhaps unsurprisingly – it’s not quite as simple as that. So here’s a quick briefing on the current situation. 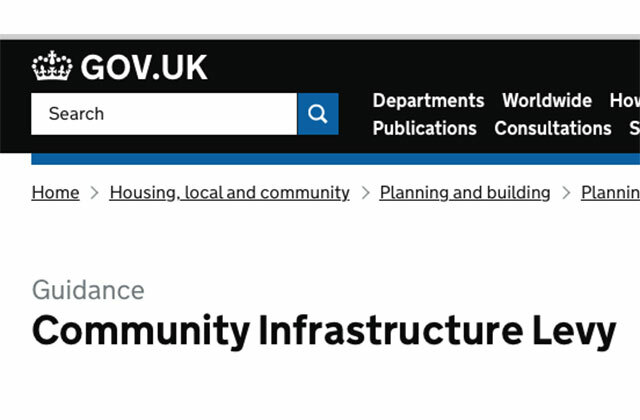 The Community Infrastructure Levy (CIL) is a tax that local authorities levy on developers to raise funds for infrastructure needs arising from new developments. Now we have a Neighbourhood Plan, 25% of the CIL money collected in Highgate (the “neighbourhood” element) must be spent in the area. In Haringey in 2016, a scrutiny committee on CIL spending decided that “the processes for determining and prioritising the neighbourhood proportion of the CIL spend (in areas with a neighbourhood forum) should be devolved to Neighbourhood Forums.” In practice, this means that the Forum works with Council officials and Councillors to make these projects happen. There is currently (November 2018) £241,588 in the CIL pot and £1,582,382 predicted to come in over the next few years. In Camden, it’s more complicated because they administer CIL ward by ward and we share a ward with Dartmouth Park Neighbourhood Forum. Their system is led by local councilors but “where there is a neighbourhood plan, any priorities suggested through it should be reflected in the ward CIL priorities”. There is a current list of priorities for Highgate Ward (which includes our signage project and the Holly Lodge CC improvements, for instance) which was agreed a couple of years ago after public consultation and in close collaboration with the then Camden Councillors and the Dartmouth Park NP. Camden are currently seeking to “update” this list through a borough-wide consultation. So what’s happening in Highgate? Well, luckily, given the above, we have an agreed spending list to make a start on. At the request of the two Councils, Policy SC2 Community Facilities was added to the Plan laying out the CIL spending priorities voted in by a local poll during Consultation on the Plan. The ideas on this list came from the various Plan working groups or from ideas submitted by residents during Consultation workshops and online forums. However, of course, many more ideas for spending projects have come in since the Plan was made – you can see the full list on our website here – and the ideas continue to come in. So we need to have a mechanism to prioritise these and we are working on that now – your thoughts on that would be welcome. In the meantime, we have made a start – you can read in other News blogs on this website about the renewal project at the Holly Lodge Community Centre and the exciting new play areas planned. We will update you on progress on the signage project shortly. Do let us know if you would like to champion any of the other projects on the list. Could we use the money to supplement the trees that line North Hill? There are a few gaps in the planes and poplars.